For the past three years, my friend Sly and I have talked about getting a fishing trip to Florida in the books. 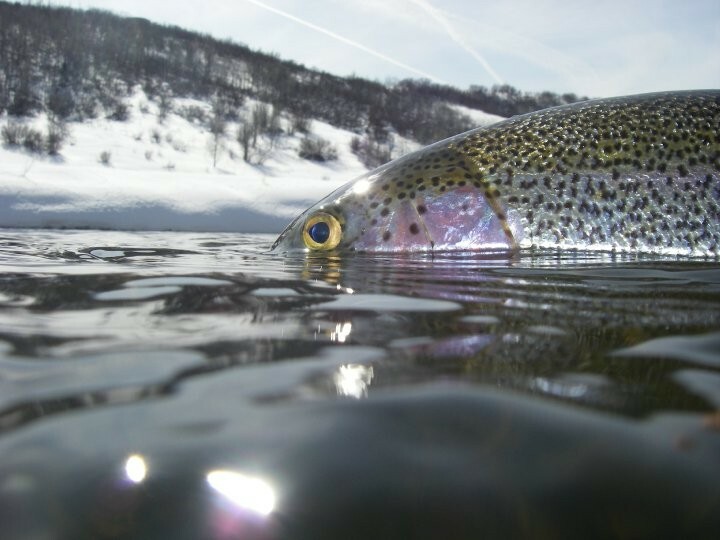 During the coldest winter months when other angling opportunities slowed like the rivers around us, our conversations would turn serious and detailed. When the weather was more favorable, the notion of a subtropical adventure would slip out of our minds entirely. Nevertheless, the idea of fishing for new species in a new area kept resurfacing. Concrete plans finally began to form last November. The question as to when we would go was quickly addressed. We decided to book our flights for late February into early March, when the allure of endless powder days on the mountain was wearing thin and an escape to a warmer climate was irresistible. With our dates locked in, we needed a specific area to fish and explore. As we had guessed, Florida was in fact stacked with options. But as fate would have it, our good friend Greg (who happens to be a fish biologist) had recently moved down there and had already done significant legwork scouting productive fisheries. Sly and I immediately accepted his offer to show us the local ropes and be our informal guide. And as an icing on the cake, Greg told us he had just purchased a new flats boat. Sometimes, things just work out. As our departure date grew closer, I found myself daydreaming about turquoise waters illuminated by a soul-warming sun. Vast expanses of pristine flats holding hard-fighting snook, redfish and maybe even a tarpon or two. My new 9wt reel humming as line peeled off it. But we all know that oftentimes, dreams don’t quite match reality. A few short weeks before the trip, a fourth and final member joined the crew, Pistol Pete. We all knew he was the least invested fisherman of the group. And at the same time, we all figured he’d end up landing the largest fish. The day after gathering in Florida, we journeyed one hour southwest from Lakeland to Bishop Harbor (eastern inlet to Tampa Bay) with Greg’s baby-blue flats boat in tow. The stoke level was high as double-hauls, aggressive strikes and tight-lines crowded our thoughts. For our inaugural day on the water, Greg opted for Bishop Harbor for several reasons. First, he was very familiar with the fishery. He knew of a low-key boat launch with excellent proximity to secluded flats and places where we could get into some snook should the notion interest us. He had also marked several spots on his GPS where shallow water seemed to pop up like islands amid relatively deep channels. These areas were notorious for holding larger, commuting fish like Spanish mackerel and jack crevalle. Beyond supporting an abundance of targetable species, Bishop Harbor was well protected. It had extensive mangrove islands and peninsulas encircling the entire bay. They created perfect windbreaks for fishermen as well as structure which supports rich aquatic life. Throughout the day, we positioned the boat on the leeward side of the mangroves. This made sight fishing and casting at a distance possible when the winds picked up. For us tourists, Greg also figured we’d enjoy seeing the array of sea life that the area offered. And he was right. Within a few hours, we saw hordes of dolphin, plenty of stingrays and countless birds. We even ran into a sole tarpon pushing five feet in length. Sadly, it cared little for any of the patterns we presented. For the remainder of our days on the water, we headed to Fort De Soto Park. As the crow flies, the park is roughly 12 miles due west of Bishop Harbor. But since no bridge spans this section of Tampa Bay, we had a hefty drive to get to the other side. Now, I’m not gonna say this was the ultimate flats fishing in Florida. But damn, it was good. Fort De Soto Park boasts five offshore keys and encompasses several thousand acres of firm-bottomed flats. Combine that with a network of deeper channels, a convenient campground with waterfront sites and an 800’ boat ramp and you’re looking at a whole package deal. Thankfully, our trustworthy guide Greg had the foresight to book our campsite well in advance. Because by the time we arrived, all 236 sites were spoken for. Following a world speed record campsite setup, we had the boat in the water and began exploring the area. Over the next three days, we fished nearly dawn till dusk, breaking only to refill coolers or extract buried hooks from exposed skin (yeah, that happened). Now, before I get into the species and actual fishing, here’s 3 things we quickly learned. Study the tidal charts. Our best fishing occurred during the largest ebbs and flows. Bait fish move around more with fluctuating water levels. And when bait fish move, so do the larger species you will be targeting. For us, the mornings and evenings provided the calmest parts of the day. Afternoons were usually the windiest. 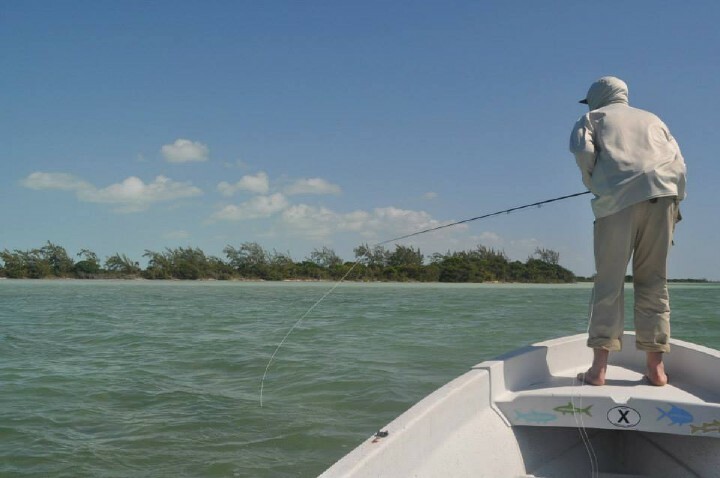 Fort De Soto Park has ample wade fishing opportunities. But a boat can always get you to those spots and all the other ones too. Be mobile if possible. It will especially come in handy when the wind changes direction. The speckled sea trout or cynoscion nebulosus (for all you Latin junkies out there) isn’t really a trout at all. Calling them distant cousins would even be a long shot. But you could have fooled me. They have a lot of features that are strikingly similar to your common brown trout. And I have to admit, fishing for them provided a satisfying combination of what was familiar and the unknown. A bit of nostalgia mixed with mystery. It was like watching your favorite movie without remembering how it ends. In our five days of fishing, we landed more sea trout than all the other species combined. This had a lot to do with their behavior. They tend to pod up. And that’s how we usually found them. At which point, it was game on. Halfway through our third day, Greg landed seven in seven casts. And it wasn’t uncommon for each angler on the boat to break double digits within an hour. They would typically measure somewhere in the 14-18” range. But we did land a few well over 20”. The bigger ones were usually the outsiders, preferring to roam solo rather than hangout with their family and friends. As for flies, the sea trout would hit almost everything we tossed their way. But the tried-and-true, white-on-white Clouser Minnow in a size 4 worked best. Chartreuse and white was another crew favorite. More often than not though, the retrieval trumped the pattern. Varying quick short strips with arms-length slow strips did the trick. I also played around with giving the rod a slight jerk/flick mid-strip. This often lead to aggressive strikes. Once hooked, they would fight hard at first but then become lethargic moments later. Anticlimactic, yes. But it did make for a swift and simple release. Fierce, almost combative takes. Reel emptying runs. And ohh the aerial acrobatics. For the Pacific ladyfish or Elops saurus (starting to get on board with this Latin thing), these three characteristics are standard. If you hook into a ladyfish and it doesn’t give you at least some sort of show, it’s either in an apathetic stupor or not a ladyfish at all. The first one I had on put a deep bend in my 9wt rod and nearly took me into my backing. When she went barreling into her first jump, we were all surprised to find her merely in the 20” range. Relatively small fish. Herculean fight. So why is the Pacific ladyfish nicknamed the poor man’s tarpon? The obvious reasons: They don’t get as big or look as pretty as tarpon. Ladyfish are also easier to find and have more liberal feeding habits. The not so obvious reasons: They are known for defecating on both angler and his boat. And they are supposedly inedible. All things considered, some anglers don’t even classify them as a sportfish. To that, I will say two things. First, they were sporty enough for me. And I had no qualms casting to them anytime we ran into a pod. Secondly, I can’t help but be reminded of how most western anglers view the whitefish. I know it’s not the same situation. But there are some similarities. As the saying goes, one man’s trash is another man’s treasure. Since the sight fishing was slow for a good chunk of each day, we did what most anglers would do. We drove the boat to where the flats transitioned into deeper water and blind casted like it was going out of style. You know, roughly 10,000 casts per fisherman per day. Thankfully our determination (or stubbornness, depending on who you talk to) paid off. Both Bishop Harbor and Fort De Soto Park proved productive with this approach. They were like salty cornucopias, often leaving us guessing as to what we would land next. All said and done, our crew brought over a half dozen bycatch species onto the boat. We caught lizardfish, leather jacks, Spanish mackerel, flounder and needlefish. For a guy who is used to seeing your typical trout varieties, you can imagine how excited and curious I was about checking out all these species. And come to find out, we were right about Pistol Pete. He did catch the largest fish of the trip. After a rather subtle strike on a his shrimp pattern (Umpqua Supreme Hair Shrimp size 2), his rod and reel got a bona fide workout. Whatever he had on was strong and pissed off. A few impressive runs later and Pete was holding a bonnethead shark somewhere around 36” long, all muscle. Not a bad catch if you ask me. Going into this trip, hunting for some snook and redfish peaked my interest the most. But given our timing, they weren’t exactly in season while we were there. Snook are known to feed more actively in water temperatures above 75 degrees. And we were seeing temps hovering around 70. That being said, we did find them patrolling the edges of mangroves on two separate occasions. During our first encounter, Greg quickly landed two smaller ones whereas I was struggling with my presentation. They were spooky. And considering the glass-like water, my false-casting and noisy lay-down botched the entire endeavour. I did, however, get another chance at hooking into one. On the second to last day, we motored into a mangrove cove where snook and redfish were plentiful. From the poling tower, you could see groups of 3-4 large snook cruising the edges. Sly, Pete and Greg were casting off the front of the boat when I spotted a singular snook relatively motionless. With a greenback herring pattern tied on, I conjured my most delicate presentation and miraculously, he did not scatter. An excruciatingly slow strip later, he showed some interest. One more, he followed. And on the third, a picture-perfect take. I set the hook and we were off to the races. But this snook knew what he was doing, immediately charging towards the mangroves. During that first run, I was able to steer him back into open water. But on his second bolt towards the roots and branches, I pulled too hard and SNAP!, my line sprung back towards the boat, fly-less. Rather than being thrown into a fit of rage, I was pumped. And as Greg wrangled a 22-24” snook onto the boat, we cracked some beers and toasted to a solid day on the water. Salud! For me, this trip was a major learning experience. Even with all my research and planning, I still wasn’t fully prepared for our days on the water. Here is a list of things I learned both before the trip and during our time there. -Not sure which size setup you should bring? After asking a half dozen guides and VVA employees, I kept getting the same answer. Size up. Instead of buying the 7-8wt, go with the 9wt. You’ll bring the fish in faster and be adequately prepared if you hook into a monster. -Once you get your new outfit, practice casting before you go on your trip. 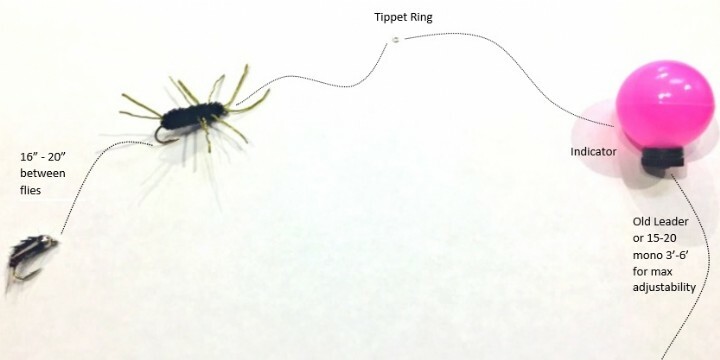 Be able to huck heavy streamers, rip through a double-haul and manage a beefier rod and reel with some consistency. Your training will payoff when it counts most. -Eat a shoreside lunch. I follow catch and release practices 99% of the time. But there is something truly satisfying about eating your catch minutes after bringing it on the boat. But be sure to check local regulations before keeping any fish. -Always wash your gear after using it in saltwater, paying close attention to your rod, reel and fly line. And be extra thorough cleaning everything before putting it away for an extended amount of time. Even though I dreamed big for this fishing adventure, I didn’t go into it with unreasonable expectations. I just wanted to spend some serious time on the water, learn about new species and how one might catch them and most importantly, hangout with three of my oldest friends. And to that, our trip was a major success. For more information on what to bring on your next saltwater adventure, check out our blog here. Want to get some tips on planning your next fishing vacation? Be sure to read our blog on it here.